With Edgar Wright, the writer/director behind the Cornetto Trilogy starring Simon Pegg and Nick Frost. Not to mention the action-packed, tune-filled Baby Driver. 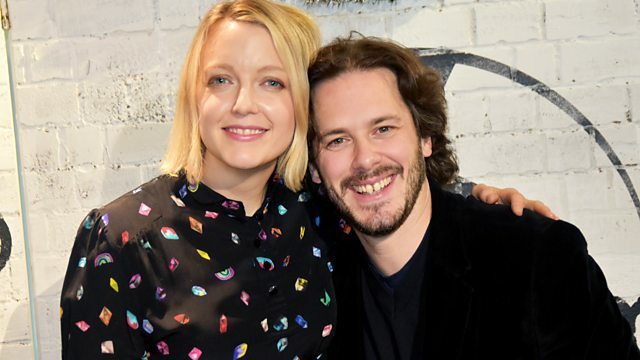 Lauren chats to Edgar Wright, the writer and director behind the Cornetto Trilogy starring Simon Pegg and Nick Frost. Not to mention, the action-packed, tune-filled Baby Driver, which is just out on DVD. Music has always played a key part in his films, from a zombie battle soundtracked by Queen's Don't Stop Me Now, to a suitably Gothic finale for The World's End. His last release, Baby Driver, is no exception with the titular hero regularly plugged in to his iPod. Edgar, who's presented on 6 Music before, returns to our studio to share some favourite tunes, and share his latest news. Lauren also has this week's Memory Tapes, a celebration of a listeners beloved mix tape. There's more new music for our Just Added playlist, a Headphones Moment and as much great music as we can pack in. Have we lost Edgar Wright to Hollywood? A Place For Nothing And Everything In Its Place. The Bing Crosby Christmas Album. Girls With Guitars Take Over!. Baby Driver (Music from the Motion Picture). Top Of The Morning With Terry Wogan. Sampled Volume 2: Digging Deeper CD2.